merit leighton Photos, News, and Videos | Just Jared Jr.
LaurDIY and Olivia Sanabia step out for a day of fun at UCLA Mattel Children’s Hospital’s 19th Annual “Party On The Pier” held at Pacific Park on the Santa Monica Pier on Sunday (November 18) in Santa Monica, Calif. 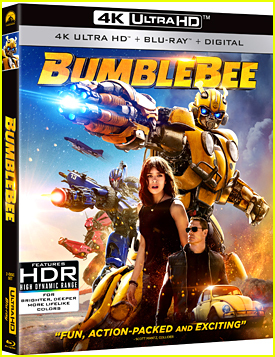 The two were joined by a ton of young stars including siblings Rico and Raini Rodriguez, his Modern Family co-star Aubrey Anderson-Emmons, Landry Bender and Isaak Presley. 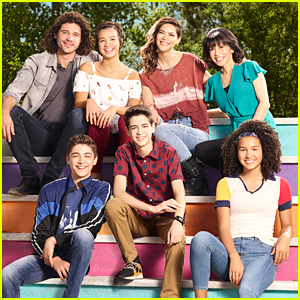 Andi Mack stars Luke Mullen and Emily Skinner were also at the event, along with Lilia Buckingham, Jaheem Toombs, Raven’s Home‘s Jason Maybaum and Issac Ryan Brown, Sophie Pollono, and Merit Leighton. Proceeds from the event provide unrestricted funding to launch high-priority programs that benefit children being treated at UCLA Mattel Children’s Hospital and around the world. The two Stranger Things stars met up with co-stars Sadie Sink, Finn Wolfhard, and Priah Ferguson. 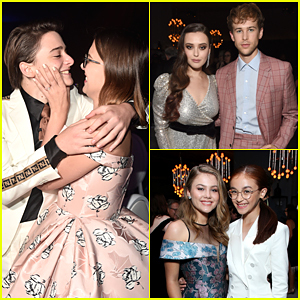 Alexa & Katie‘s Merit Leighton, Emery Kelly and Kerri Medders, To All The Boys I’ve Loved Before actress Anna Cathcart, Insatiable‘s Debby Ryan, and 13 Reasons Why‘s Katherine Langford and Tommy Dorfman were also seen at the bash. Nia Sioux is all smiles inside the Surface Young Hollywood Event held at Microsoft Lounge on Wednesday afternoon (May 2) in Culver City, Calif. 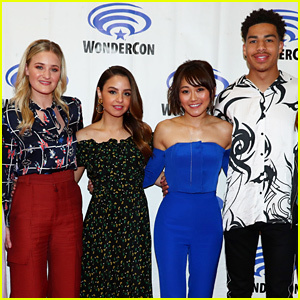 The Bold and the Beautiful star was joined by Good Luck Charlie brothers Bradley Steven Perry and Jason Dolley, as well as Marcus Scribner, Francesca Capaldi and Casey Simpson. The young celebs were given a hands-on demo on the Surface devices and a variety of software featured on them including Scriptation and Office 365 as well as games such as Minecraft. Aubrey Anderson-Emmons, Girl Meets World‘s August Maturo, and Ava Kolker, Brighton Sharbino, Cody Veith, Elias Harger, Garrett Clayton, Hudson Yang, James Maslow, Jason Maybaum, Merit Leighton, and real life couple Nathaniel Potvin and Kayla Maisonet were also seen at the event. Kendall Schmidt strikes a fun pose at the 2018 Nickelodeon Kids’ Choice Awards Slime Soiree! 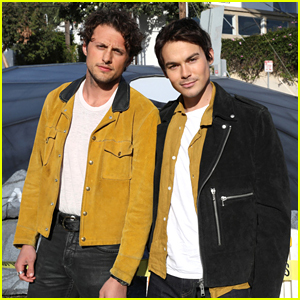 The Big Time Rush alum stepped out for the event held on Friday (March 23) in Venice, Calif. He was joined by Teala Dunn, rocking an off-she-shoulder floral top and matching headband, and Lilimar, sporting a colorful furry jacket. Also in attendance were Brooklyn and Bailey, Sofia Reyes, James Charles, Casey Simpson, Merit Leighton, Isabella Acres, Jade Pettyjohn, Aidan Miner, Tiffany Alvord, Jessie Paege, Kirrilee Berger, Stony Blyden, Maemae Renfrow, Lexi DiBenedetto, Daan Creyghton, Backpack Kid, and Corinne Foxx. Make sure to tune in for the KCAs, hosted by John Cena, TONIGHT at 8pm ET/PT on Nickelodeon! FYI: Sofia is wearing a House of CB top, Yousef Akbar pants, a Falguni Shane Peacock jacket, Motif earrings and a Yun Yun Sun ring. Lilimar is wearing Swarovski jewelry. Paris Berelc cozies up to boyfriend and co-star Jack Griffo at the premiere event for Alexa & Katie held at the Netflix Home Theater on Wednesday night (March 21) in Los Angeles. The full cast — Isabel May, Tiffani Thiessen, Emery Kelly, Finn Carr, Eddie Shin, Jolie Jenkins, Merit Leighton, Nadja Alaya, Iman Benson, and Kerri Medders — gathered together for the screening, which was held in partnership with the American Cancer Society. The series, centering on two BFFs who navigate high school while one is going through cancer, premieres TOMORROW, March 23rd on Netflix.